This collection addresses a topic and period that continues to be of the widest interest and importance to scholars, students, and the general public – America in the World War I Era. Camp newspapers make important original source material—much of it written by soldiers for soldiers—readily available for research and fresh interpretation of events about “The War to End All Wars”. American Military Camp Newspapers provides users with unparalleled access to unique sources covering the experiences of American soldiers during the mobilization period in 1916, in the trenches in 1918 and through the occupation of Germany in 1919. From Afloat and Ashore to The Service Record, camp newspapers kept soldiers informed about the home front, political questions of the day – including those relating to the war itself – progress of their training, and the conducting of the war abroad. Also, they carried articles on what it was like to leave home by both recruits and draftees, the initial excitement of training, the drudgery of camp life, attitudes toward officers and fellow soldiers, the clash of arms, and news about the enemy. Camp personnel, places, and events are described with a richness that brings new credibility and perspective to scholarly research. Camp newspapers also included non-war related advertisements, poetry, short stories, memoirs, jokes, and cartoons. Photographs and sketches portrayed life in the various camps, on the home front, and at the battlefront. 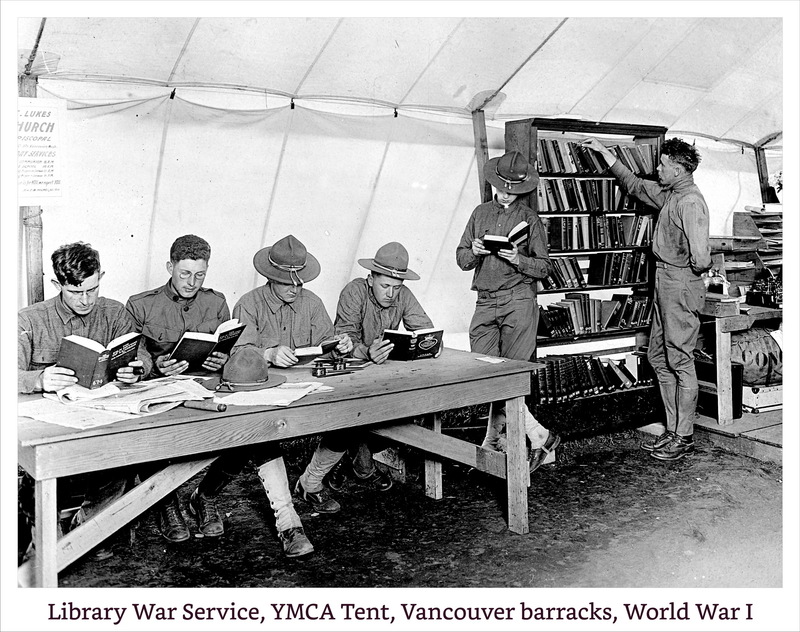 Library War Service, YMCA Tent, Vancouver barracks. 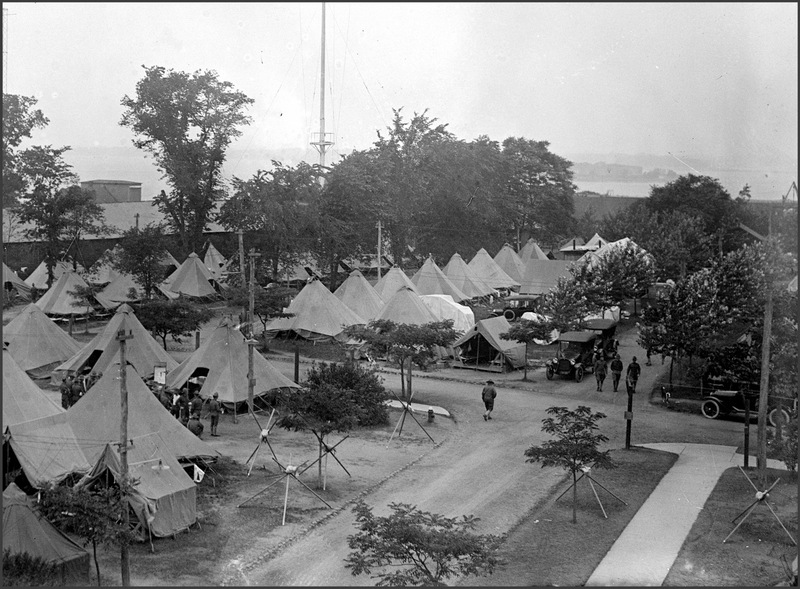 Most camp newspapers were published under the auspices of the National War Work Council of the Y.M.C.A., and were distributed beyond the actual camp areas to the local communities that supported the camps. Others were published by unit information officers and soldiers who had been employed previously in the newspaper and print trades. Students, faculty and researchers in a broad range of disciplines – U.S. History, Military History, American Studies, Social and Cultural Studies, Government and Politics, and more – will applaud the publishing of these camp newspapers. They are the voices that have demanded additional primary source content that can be used to fuel new and expanded research opportunities. American Military Camp Newspapers unlocks the immediate past so that researchers can examine America and its people during a tumultuous era in our nation’s history, enabling a better understanding of our nation’s issues and concerns, both then and as they relate to current events. THE BULLETIN AMERICAN EMBARKATION CENTER, A.E.F.